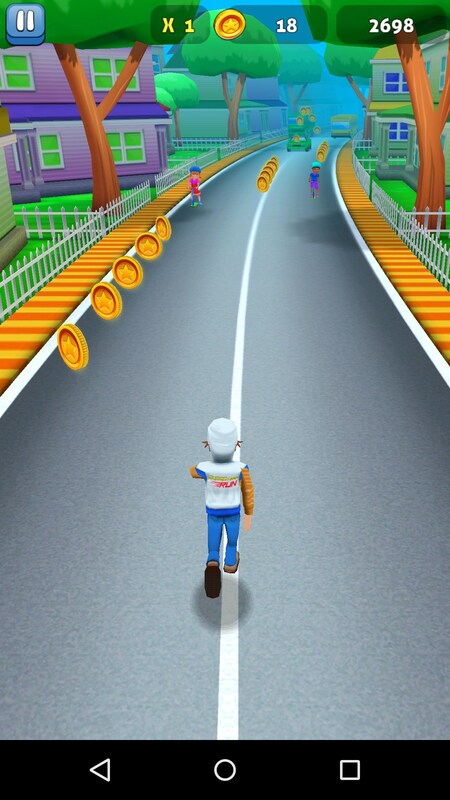 Super Dash Run! 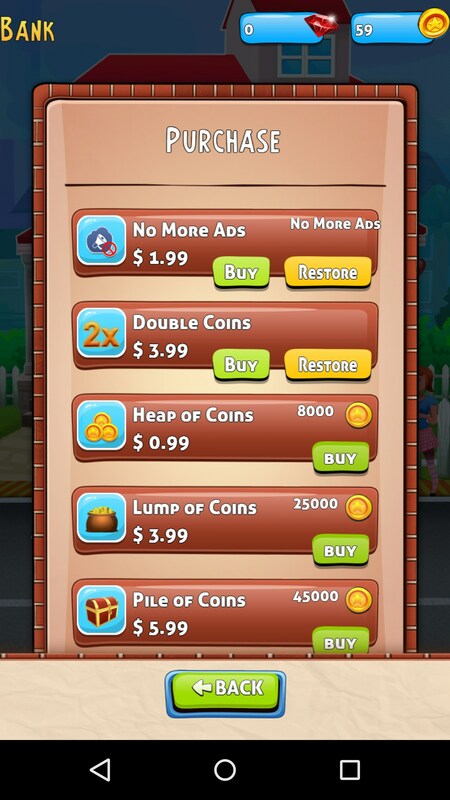 – Games for Android 2018 – Free download. Super Dash Run! 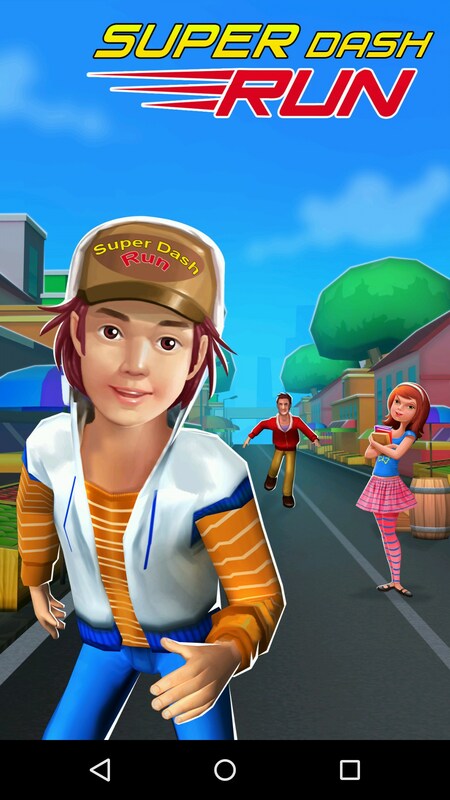 – Dart through crowded streets and muddy roads in this infinite runner game. Super Dash Run! 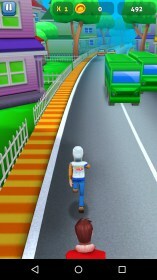 for Android is an infinite runner designed for the mobile platforms. 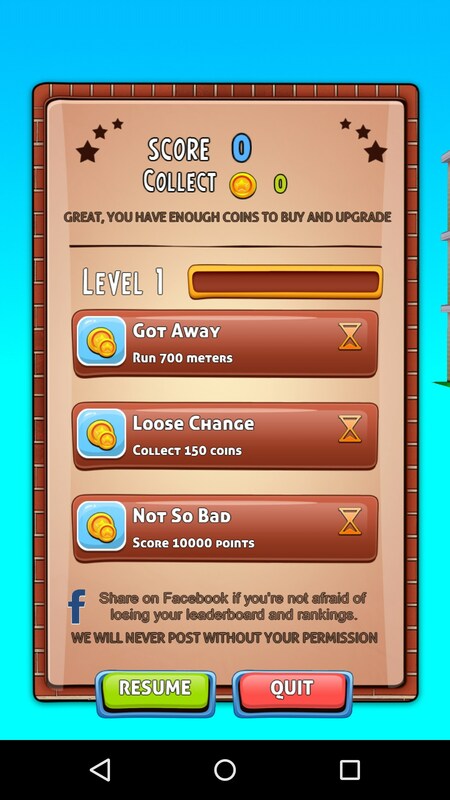 The action packed game features smooth controls, great power-ups and an abundance of obstacles to leap and dodge past. As players rush down crowded streets, through the countryside and even over open waters, all while chased by an angry parent they manage to collect sufficient currency to purchase any character skins they wish, or upgrade their performance in an attempt to do better on the next run. 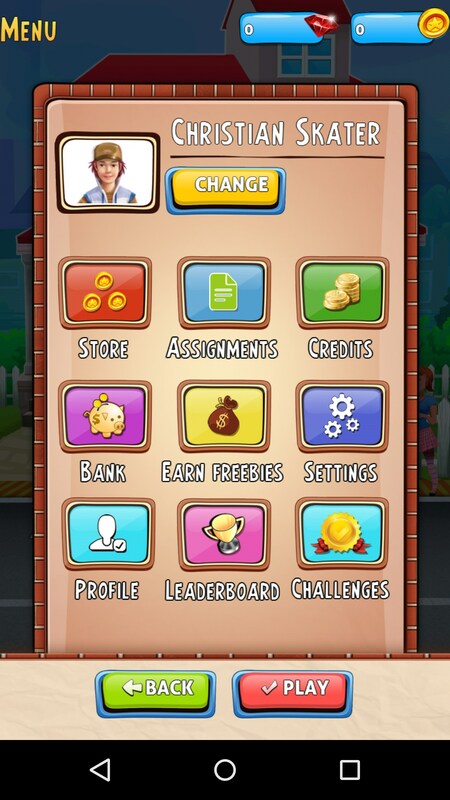 The game plays fairly smooth, perhaps too smooth for its own good. The fluid controls become somewhat of a burden. 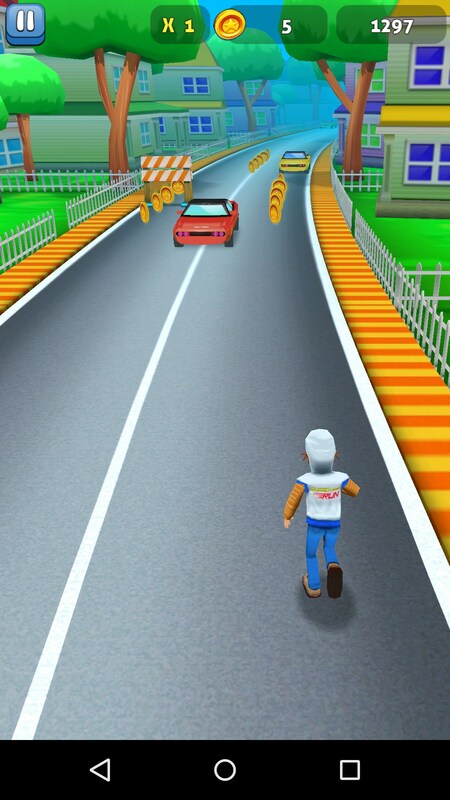 When users attempt to dodge past a particularly difficult obstacle they may, in the heat of the moment swipe too long on the screen, leading to the character moving two lanes and colliding with oncoming traffic. 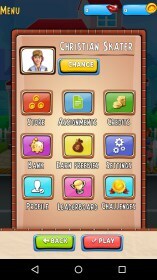 Sadly the game has an abundance of construction faults that greatly hinder the gameplay. The least of these are the animations, whose poor design is obvious when failing a run. 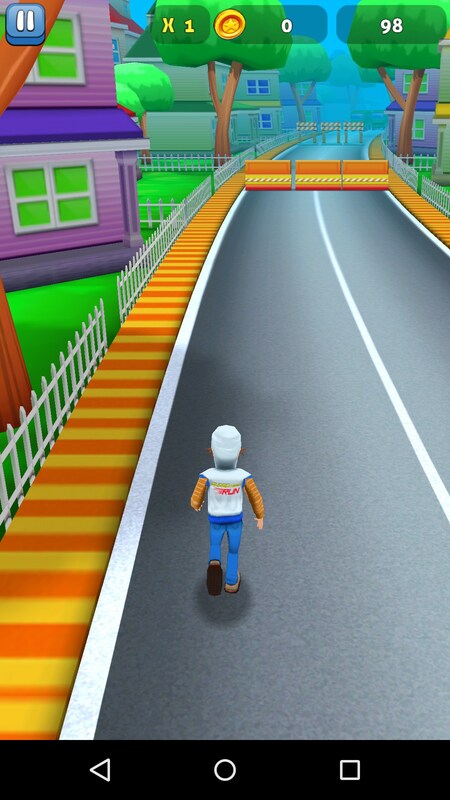 Additional issues involve the main character will often collide with invisible obstacles that are most likely parts of poorly designed models and even the player’s left over characters from failed tries becoming stuck on the track as permanent obstacles. 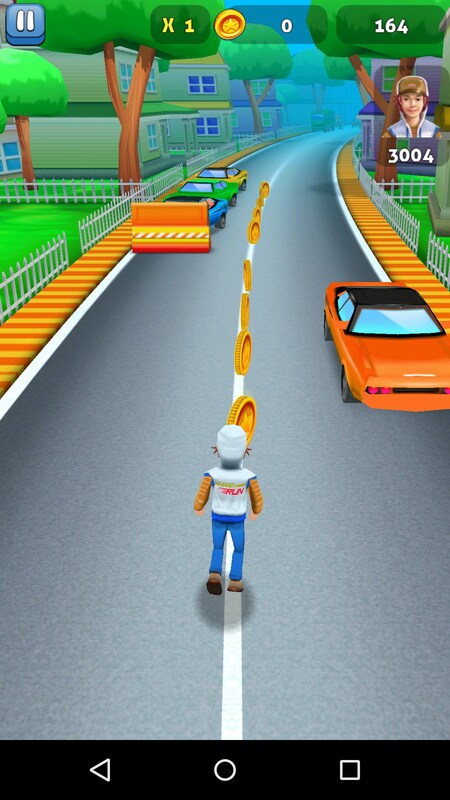 Overall Super Dash Run! is a fluid game, and entertaining game, yet with a somewhat disturbing premise. 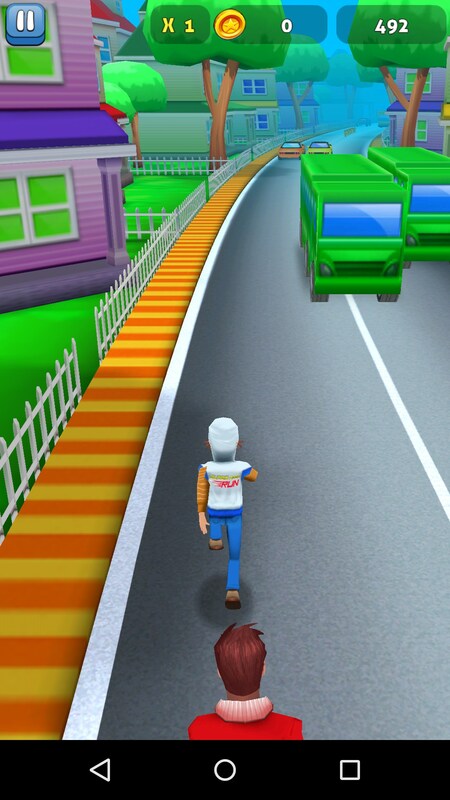 The idea for the protagonist to feel so threatened by his love’s father, that running into dangerous traffic seems like a better alternative should not be condoned in a game designed for children.